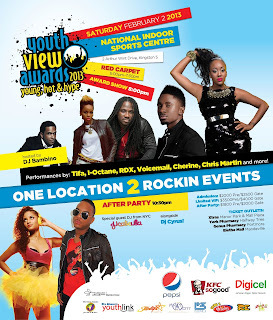 (Shuzzr & Mpr Consulting) - Dancehall Duo RDX who have been nominated for three awards in Jamaica's Youth View Awards, will also be apart of the star studded lineup set to perform. The dancehall duo who are famous for highlighting dance moves and delivering hit singles, will be delivering an unforgettable performance at the awards show which will be held this Saturday February 2, 2013 at the National Indoor Sports Complex. RDX who never shies from controversy, looks forward to demonstrate and make it clear to their critics, that they are indeed the #1 Reggae/Dancehall Duo, and that their musical creativity and dance skills remain intact. The high energy duo will be perform a slew of hits and have asked that all their fans and supporters come prepare to Jump, Broadout and Kotch amongst other of their renowned dance moves. Whilst the group is humbled by the nominations and is aware that they have been absent physically from the local party scenes, they will be trying to balance appearances both locally and internationally in a mist to please their huge fanbase. The single "JUMP" which garnered over 2.5 million views on Youtube kept the dynamic duo busy all year. As a testament to their success, and to show the impact the single has had in the dancehall arena, Jamaica's Youth View Awards has nominated the single "JUMP" in three different categories. "JUMP" is nominated for "Favorite Local Chart Topping Song of 2012"; "Favorite Local Music Video of 2012" and "Hottest Summer Song of 2012". The Duo who is elated by the nominations says "its a good look to see local groups recognize good music and that hard work does pay off". The creative duo who has always challenged the music industry has delivered other smashing singles such as "Broad Out", "Shining Star" and others which have been receiving heavy rotation. The Dynamic Duo encourages all their fans to support their nomination. About Youth View Awards: The vision of the Youth View Awards, the YVA's is a people choice awards that offers a creative vehicle for Jamaican teens and young adults’ voices to be heard! The categories included favorite celebrity in entertainment, fashion, sports, and the coveted award of celebrity role model of the year! 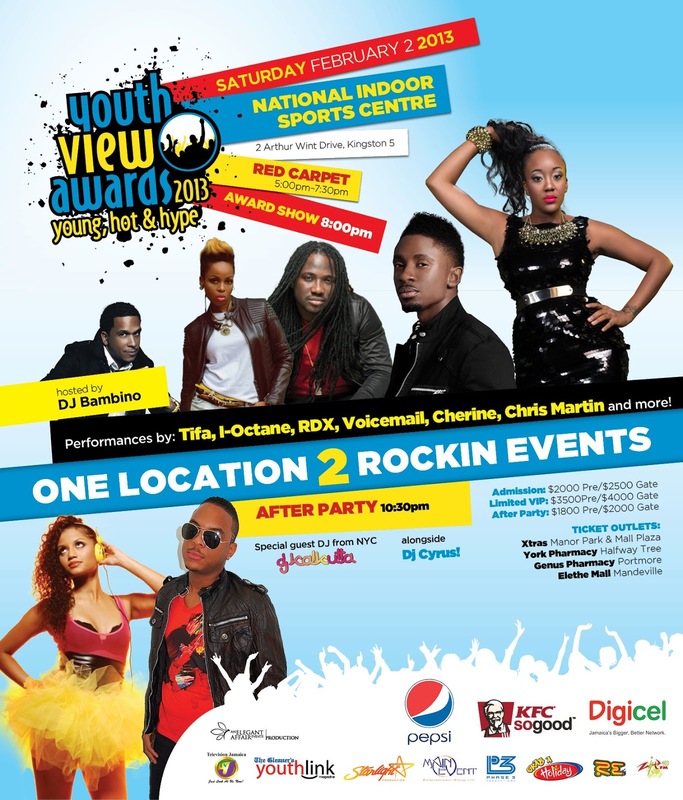 The 4th Annual Youth View Awards & After Party will held at National Indoor Sports Centre on Saturday February 2, 2013.